I know, I know-every day seems to be home to some strange, random, or innocuous holiday these days, but this one has a special place in my heart. While my palate generally prefers more savory options, fruit cobbler is my jam. (Does that count as a pun? No? 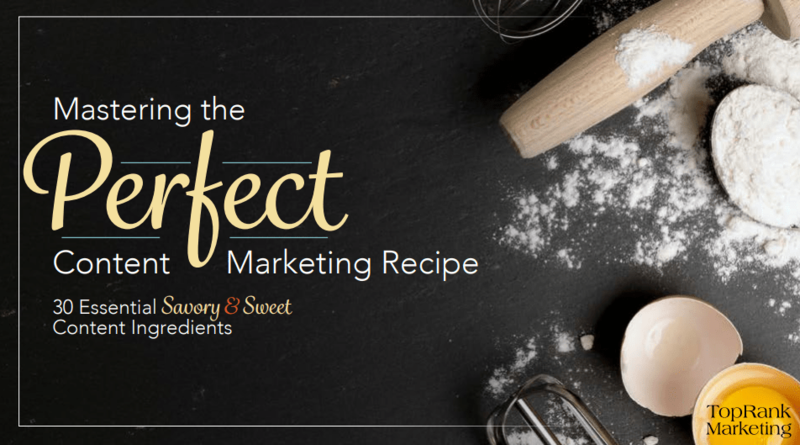 OK.) And as it turns out, not only is cobbler of all varieties deliciously satisfying to eat-but it also serves up a tasty slice of content marketing inspiration. 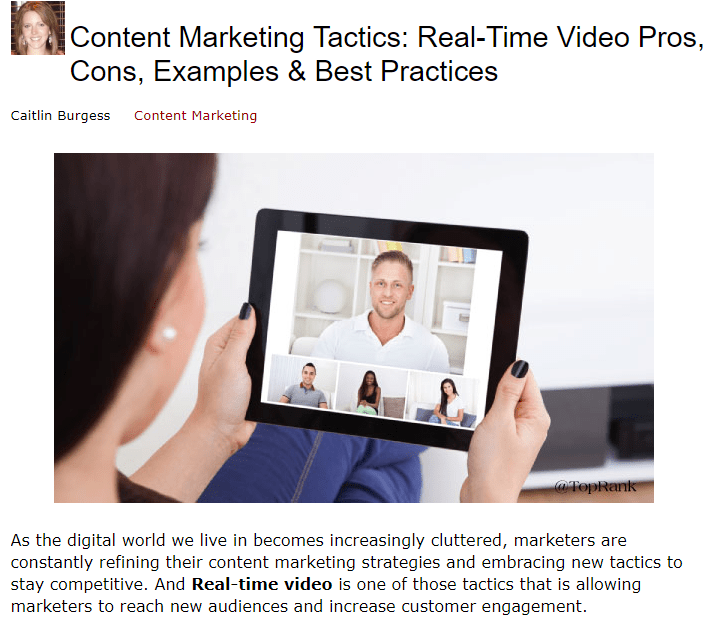 We plucked and tweaked the best practices content from each of the blog posts to form the meat of the asset. Then we seasoned it with microcontent-namely original and curated quotes from internal and external experts-to add additional insight and authority. Finally, we topped it off with some new, original content to add a little extra flavor. Herbs and spices often hold the key to unlocking the full potential of any dish or desert-and any good cook has the essentials on hand. 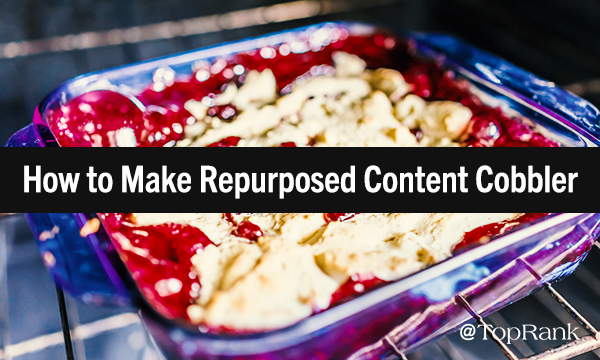 So, when it comes to making sure your repurposed content cobbler tastes just right for your audience, it needs to be seasoned with the right data and insight. Dig into the data to draw insight on what is resonating most with your audience-as well as what’s leaving a bad taste in their mouth. Then take action on those insights as you repurpose to help improve reach, engagement, completed calls to action, and more. 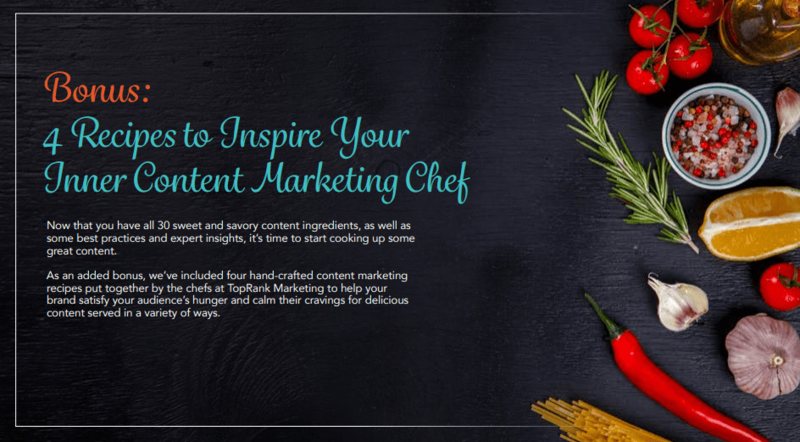 ← Calling All Content Marketers: Sound Off in Our Content Marketing Planning Survey!